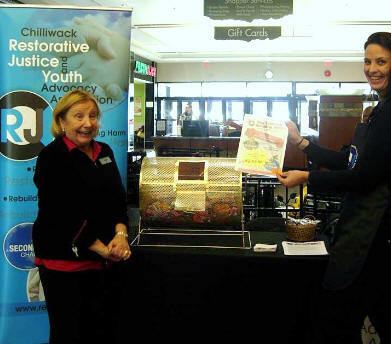 hilliwack Restorative Justice and Youth Advocacy Association‘s newest fundraising initiative “The Longest Running 50/50” has ended and a winning number was drawn at noon on Thursday, December 31, 2015 at Cottonwood Mall. The final winner’s total was an incredible $2,717.50! The lucky winner is Gary Cooper of Chilliwack. Mr. Cooper was the lucky purchaser of ticket # 4045334 and won the grand total of $2,717.50. What a fantastic way to ring in 2016. We wish to thank everyone who purchased tickets in support of our program in the community and for making our first “Longest Running 50/50” such a success. 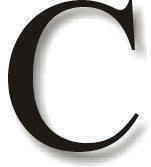 “I am very happy with our newest fundraiser and plan to have another 50/50 in the future. 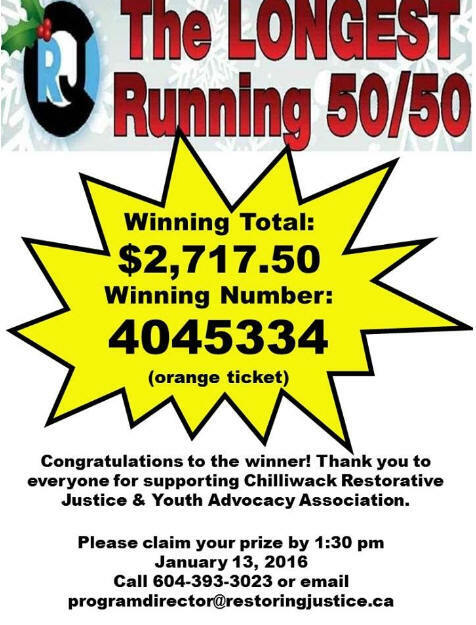 I would like to congratulate the winner, Gary Cooper and thank him for supporting Chilliwack Restorative Justice,” comments Leanna Kemp, Program Director. We are now starting to plan the next fundraiser which will be on April 9, 2016. Please stay tuned for more details and information on our exciting new event. Visit our website www.restoringjustice.ca to learn more about our fundraisers and our program.